There is something amazing about when a handmade product takes the place of an otherwise harmful one. As you know, I have 4 children and 3 of them are at school each day with packed lunches. They go to a school that promotes a sustainable environment. 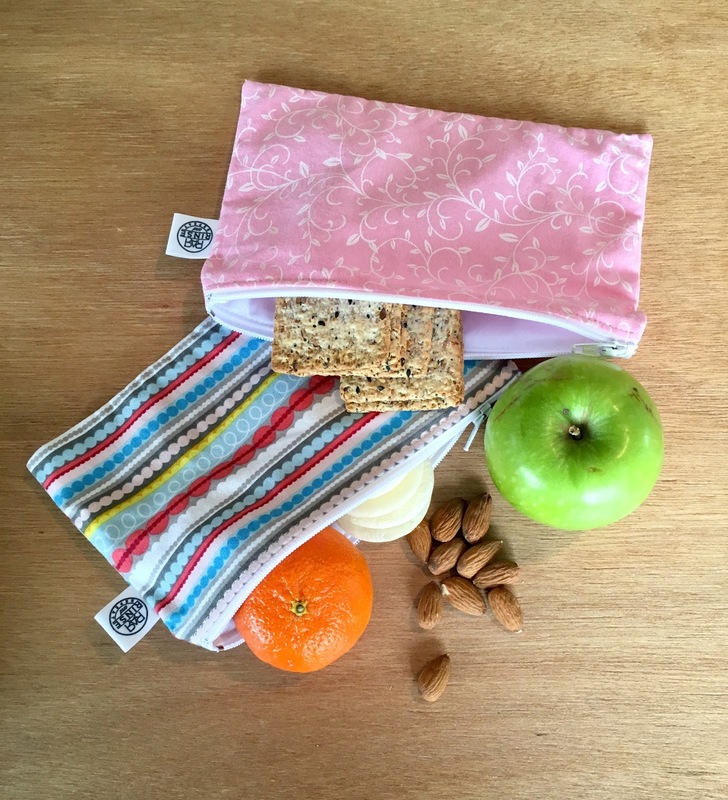 We as parents are encouraged to use lunchboxes that reduce the amount of wrappers used. My two oldest boys are part of the Enviro Team where they work on the school's value of sustainability. Last year they designed scrap containers for food waste which are then fed into the worm farm and to the two hungry school pigs! They also collect products which can be safely recycled for our planet like oral waste products and suckies. We were given two snack bags with boxed corners. They are a great size, 11 x 17.5cm. I was surprised at how much I could fit in them!! With such gorgeous fabrics, there is something for everyone. They are super easy to zip up and I especially love that they are cold machine washable, meaning you can clean them properly for repeated use. 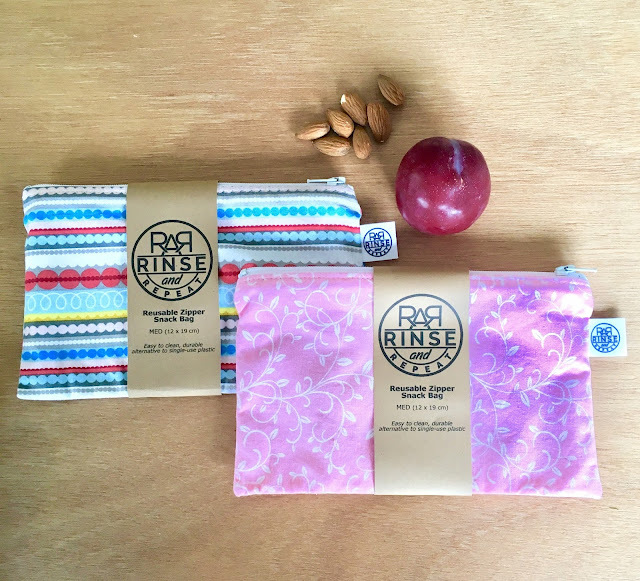 When you purchase you are supporting a small NZ business and helping our environment! They are $14.95 and you can find them here. 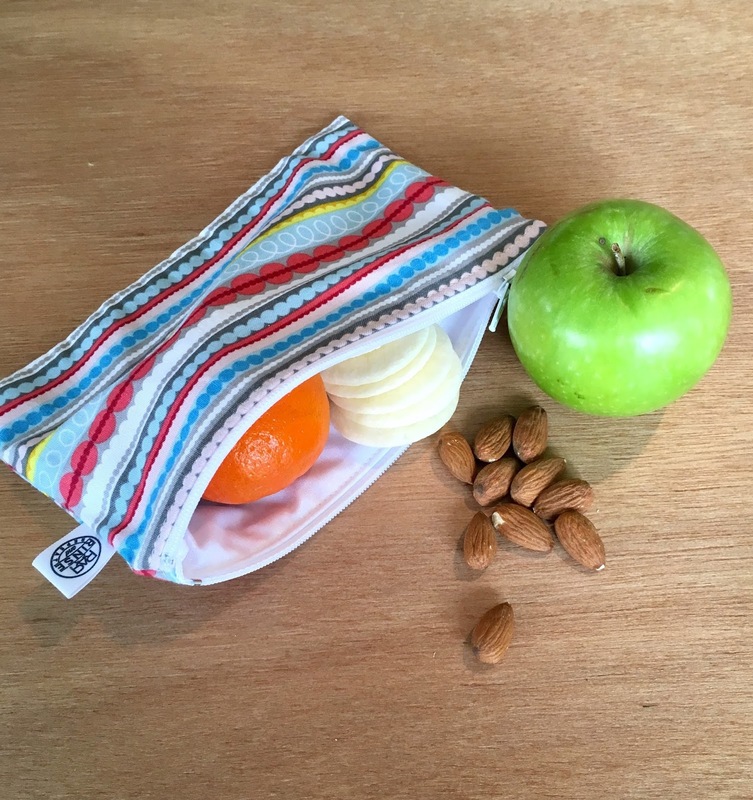 The snack bag without boxed corners is 12 x 19cm. We use these ones for sandwiches as they are flat. Of course they are great for other snacks aswell, crackers, popcorn, cut up fruit etc. 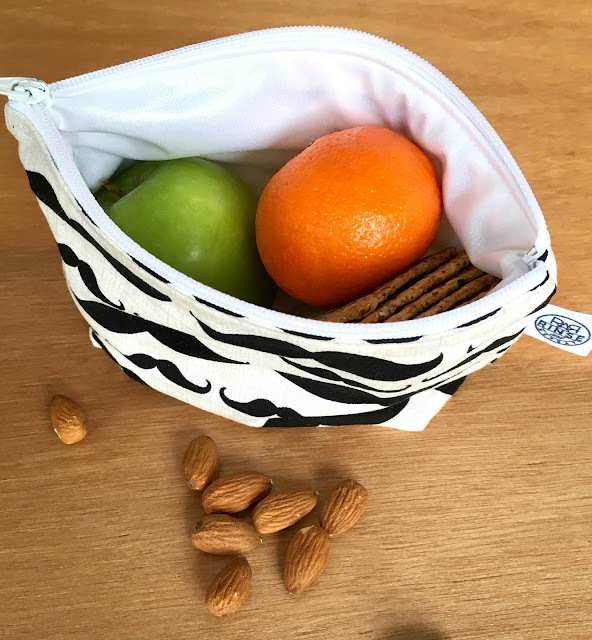 They also have a zip closure and are machine washable. They have lasted so well over the few weeks we have used them and keep coming out of the machine perfectly. These ones are $14.50 and can be found here. 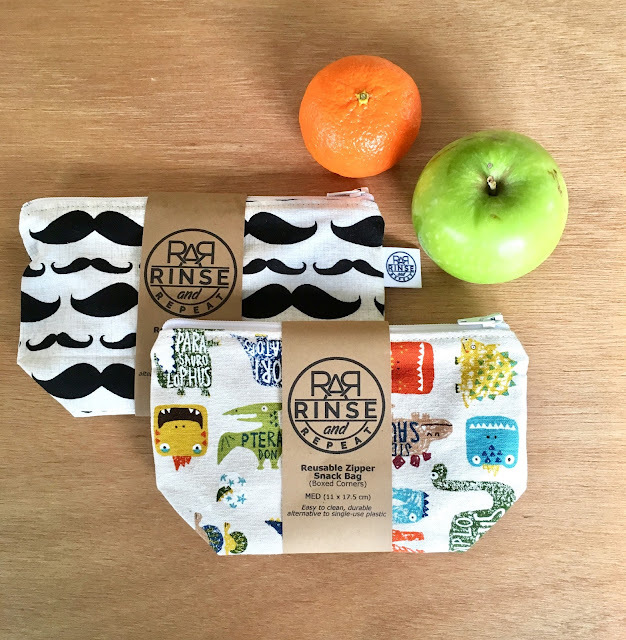 The Rinse & Repeat snack bags are fantastic! They are so beautifully made and so easy to use and to keep clean. They are a perfect size and we have loved filling ours with yummy sandwiches and snacks. 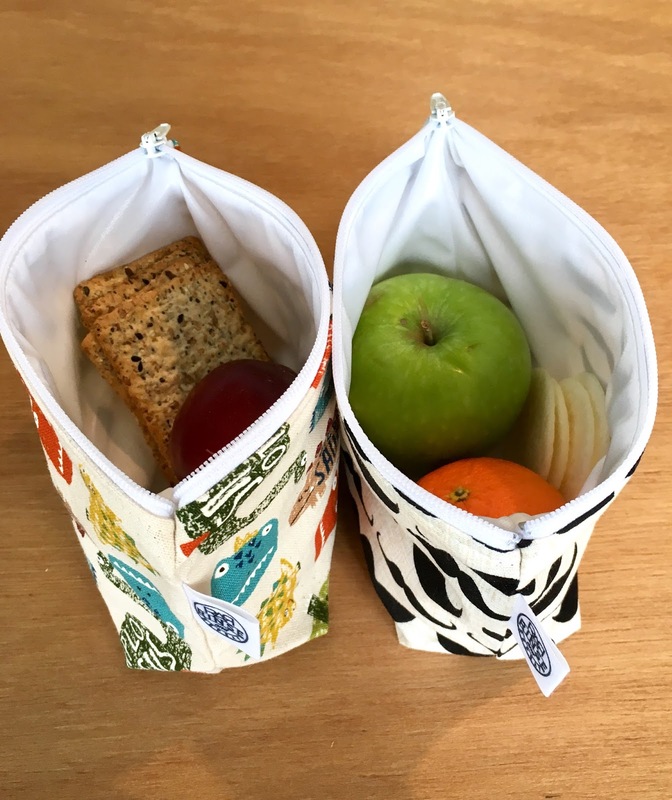 I have found them to be so much easier to fit into the kids lunchboxes than using plastic containers as they are flexible. 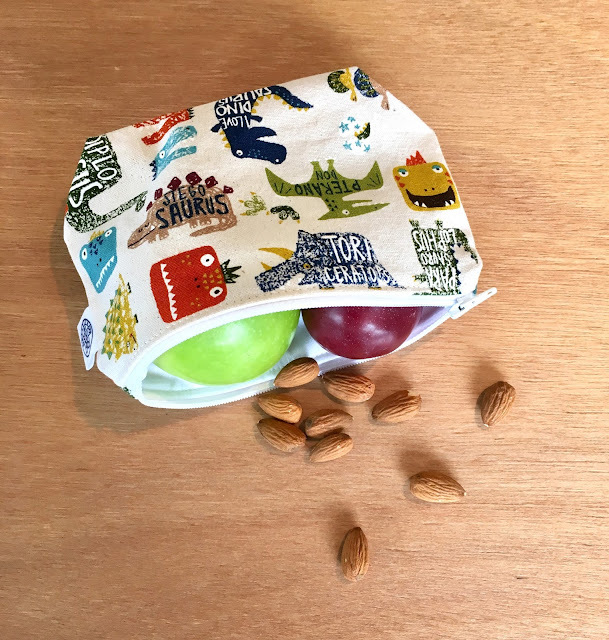 With so many beautiful fabrics to choose from, all the kids will love them! + Making cutting down on plastic wrappers fun & easy!